Mark Harrop has recently returned from presenting at, and covering, IT4Fashion in Florence. 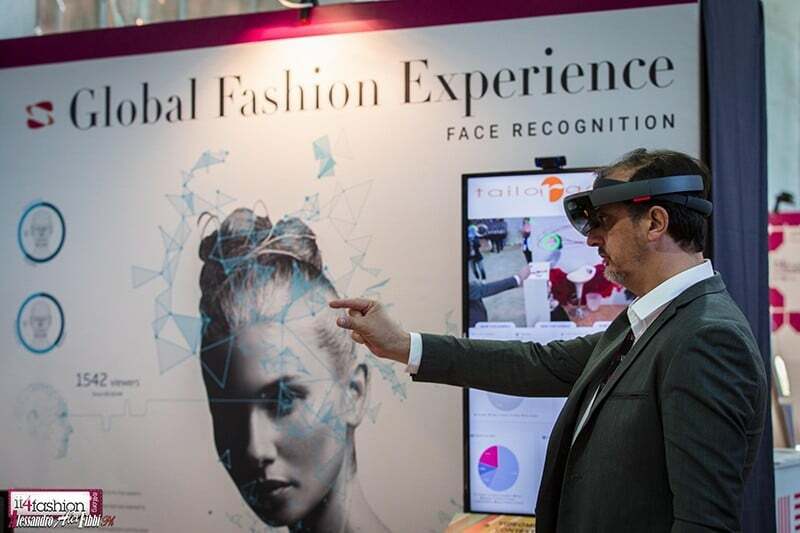 Now in it seventh year, the conference and exhibition is designed to let fashion businesses, researchers, educationalists and software houses come together to discuss digital technology in our industry. Fashion and digital are part and parcel here at WhichPLM. For two worlds that seem, at face value, so different, in recent times technology has become almost synonymous with Fashion. 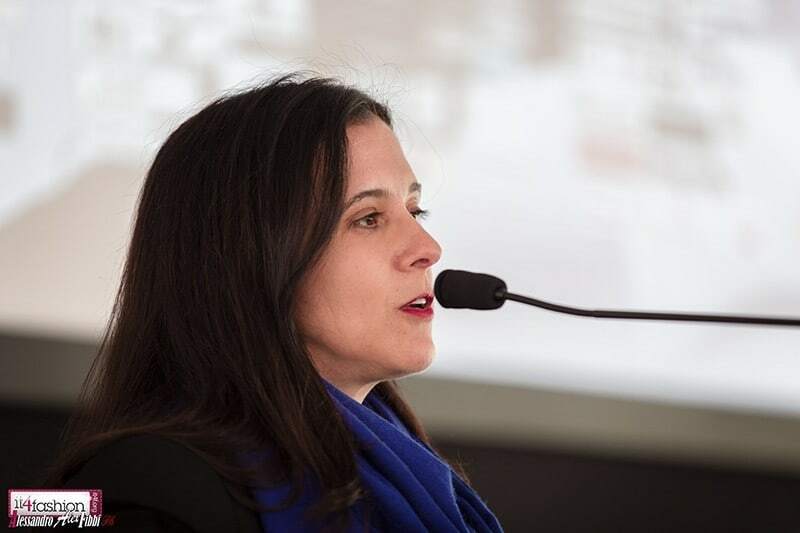 And so, despite my personal dislike for the term ‘information technology’, I was delighted to be invited to speak at this year’s IT4Fashion conference. 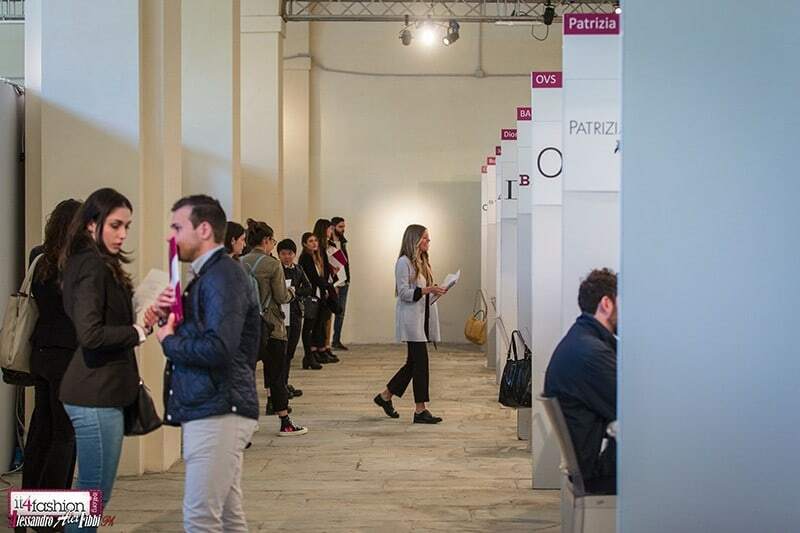 Held between 19th and 21st April in Florence, Italy, IT4Fashion is an industrial and scientific conference and exhibition where fashion companies, brands, practitioners, researchers, educationalists and software houses come together to discuss digital technology in our industry. Participants come from all over Europe, as well as from North America and further afield. 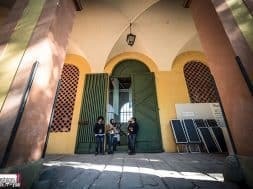 This year’s conference was held at Le Pagliere and associated Giardino delle Scuderie Reali – a beautiful museum, and Factory with Royal Garden Stables in Florence – which was the perfect setting. The Pagliere is a great architectural building, split into levels with two lateral wings. The ground floor, now divided by partitions, was originally one large hall for horses, and the upper floor was used as a warehouse for hay. Between 1932 and 1959 the monumental backcloths were painted, where the likes of Giorgio de Chirico, Cipriano Efision, Gino Severnie and Mari Sironi would come to check on the execution of their projects. The Factory of the Royal Stables (Scudirie Reali), built circa 1866-69, hosted horses and housed staff. The green includes Boboli Garden, Machiavelli Avenue and Porta Romana. Today, the Scuderie is an Art Institute, and the Pagliere is a Museum of Figurative Arts from the 20th century. Now in it’s seventh edition, IT4Fashion represents a unique experience where fashion businesses present their greatest success stories regarding a broad range of IT related solutions and applications, together with keynotes on new technologies and solutions from leading industry experts and some exciting digital newcomers. The aim of these success sessions is to underline how technological innovations play an important role in the companies’ responses to the ever-increasing challenges of a continuously evolving market. The conference, this year and in previous years, is broken up into the industrial side, and the scientific side. 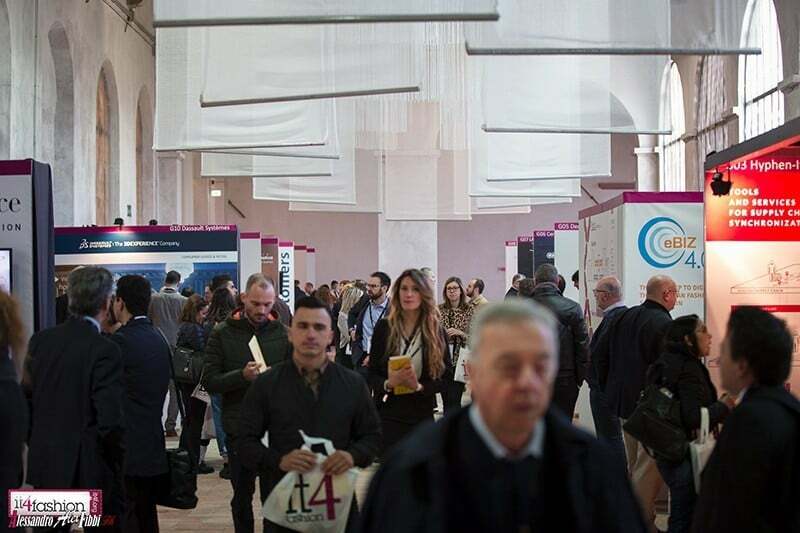 The first two days (19th and 20th) were dedicated to industrial case studies this year, made up of alternating sessions and plenary speeches from expert keynotes, retailers, brands, and vendors. Day three (21st April) was given over to the scientific side. This traditional portion aimed to present scientific business models and technologies in our industry, and to share knowledge between experts – particularly with regards to PLM and SCM (Supply Chain Management). The conference also dedicated the final day (21st) to career opportunities in Fashion – something we’re very passionate about at WhichPLM, with our upcoming ‘WhichPLM Jobs’ section on the site. [Editor’s note: more information about this will be circulated in due course.] 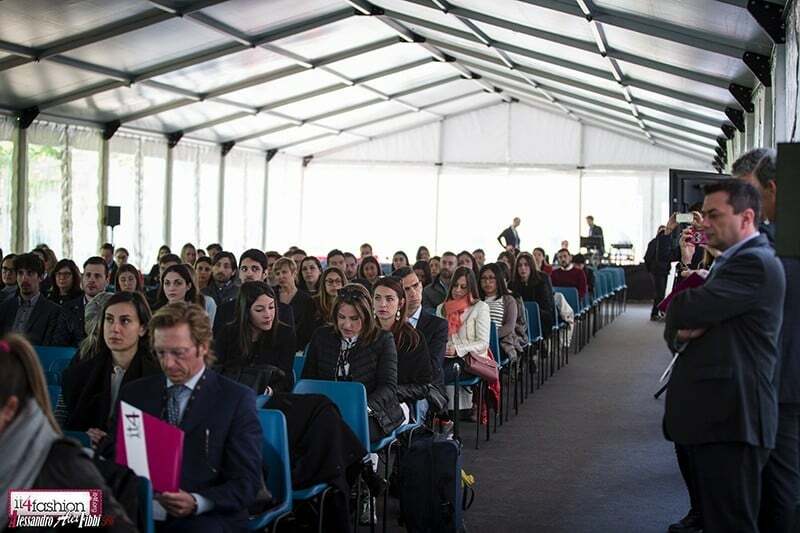 Employees from retail and brand HR departments were given the opportunity to introduce their organisations, the positions available, the work environment, and trainings available at each of the organisations. They also offered support on developing quality CVs. 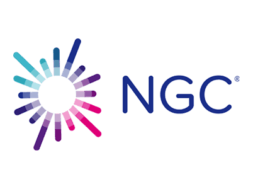 I found this portion of the conference unique; whilst most industry events offer numerous networking opportunities, this brought the ‘networking’ idea to a whole new level and supported the broader subject of education for the next generation entering our exciting industry. The conference was very well represented by graduates as well as key industry players. 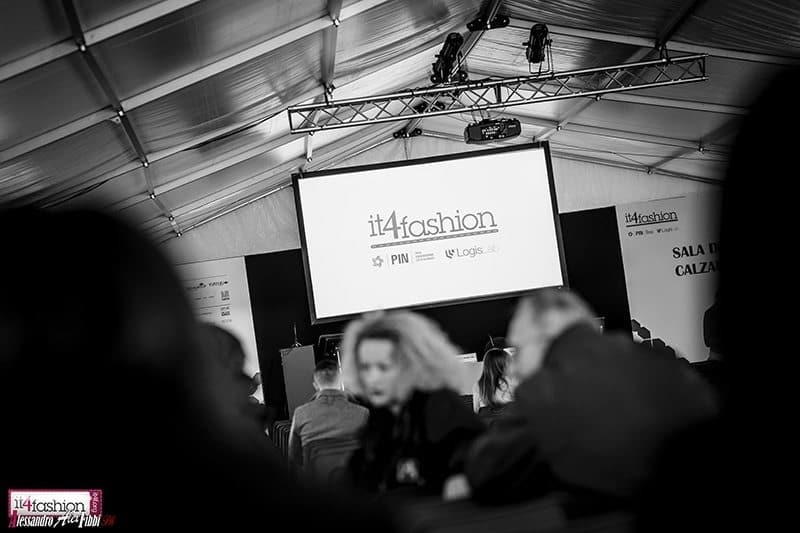 Top sponsors for IT4Fashion included WhichPLM regulars Centric Software, Dassault Systèmes, Lectra, TXT Retail and 1trueid, as well as others like Deda Group, FabricaLab, and CapGemini, Digital Trend, and Informatica. For a relatively short event, IT4Fashion was able to squeeze in as much information and as many presentations from key industry players as possible. Holding a sessions myself, when I got my hands on the schedule prior to the event I knew I was going to be in for a busy few days. As usual, with far too many great sessions to speak on, for the purposes of this report I’ll have to limit myself to a select and inspiring handful that I attended. 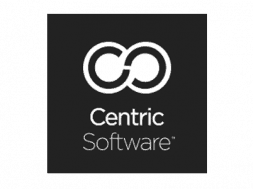 Speaking for PLM on the first day were Anastasia Charbin, CMO at Centric Software, and Francesco Tombolini, Deputy COO at YOOX/Net-à-Porter. Francesco has had a storied career, assuming positions in leading companies like Christian Lacroix, Genny, Giorgio Armani, Gucci and Emanuel Ungaro. In a joint session the duo explored PLM as a retail transformational driver. 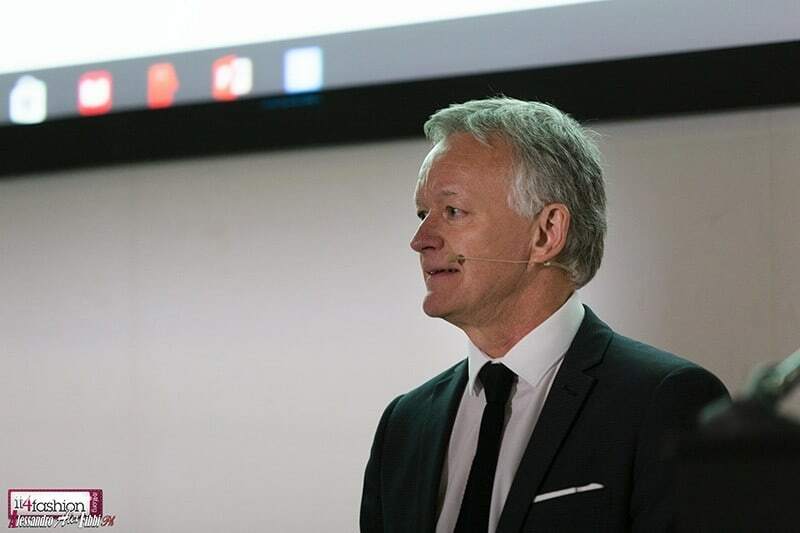 Having been exploring digital transformation recently – and indeed presenting on the same subject at this event – I was looking forward to this presentation, as it went somewhat beyond the more traditional ‘PLM success stories’ customary for industry events. The session began with an overview of the concept: applying a digital technology to a process, usually resulting in a change in the way of working, thus the transformative effect. The duo made the point that digital transformation needs to “have a purpose”; it needs to be driven by strategic initiative that is enabled or facilitated by technology. 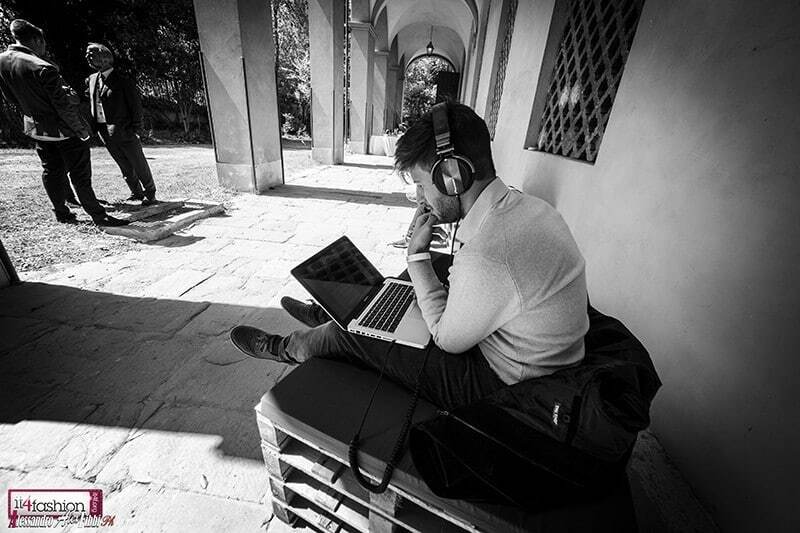 Francesco joined YOOX SpA in 2014, responsible for overseeing the multi-brand online stores thecorner.com, shoescribe.com and the mono-brand online stores powered by the YOOX Group. Francesco discussed how PLM can be a business transformation driver. Using Centric PLM, YOOX has been able to deliver highly differentiated brand experiences through a shared and scalable platform. The business has also enhanced quality for their customers whilst improving general efficiency, amongst other benefits. Another WhichPLM regular, Dassault Systèmes, explored social collaboration for the fashion experience. 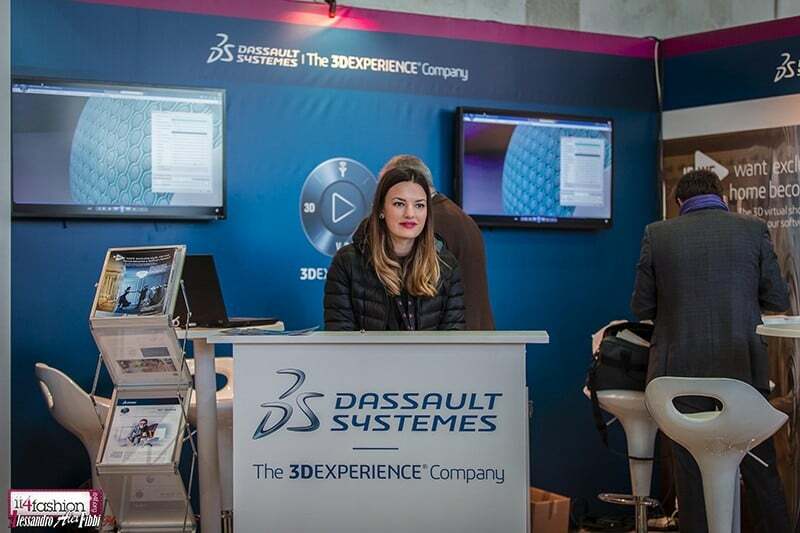 Laura Valagussa, EuroMed 3DEXCITE Sales Representative, and Giuseppe Riefoli, Industry Sales Senior Manager, also presented as a duo on day one. 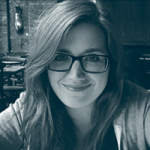 Laura has close to two decades’ experience in our industry, and her main focus is on accelerating business by going digital with 3D high-end visualisation. Giuseppe focuses on business challenges and processes for small, medium and large accounts. Laura and Giuseppe spoke of the silo mentality too often seen within businesses of all shapes and sizes – something we’ve explored a lot in the past. 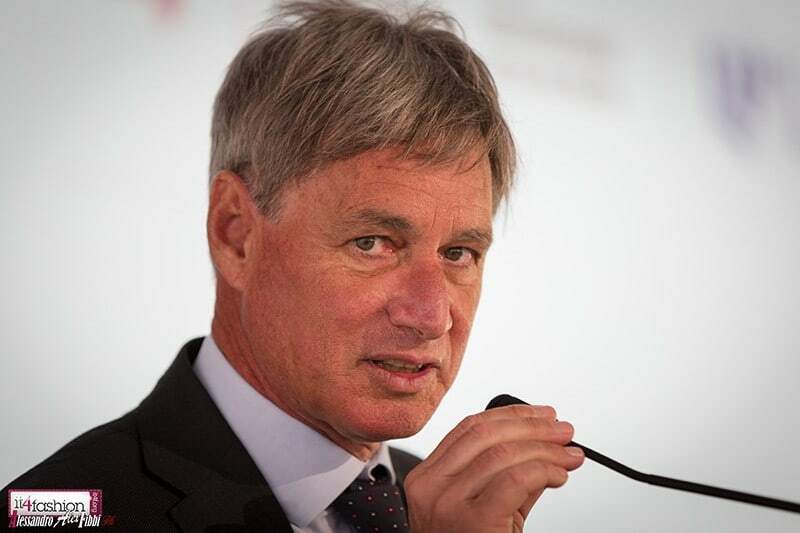 In order to rectify this, the presenters argued, businesses need a single backbone (like the 3DEXPERIENCE, or that of a PLM platform) that allows users to have an eye not only on their own processes but also on the global business as a whole. “Shape”: CATIA is used to help shape engineering, they have been investing heavily in new technological innovations in shape advanced “True to Life” modelling. “World”: Their ambition is to help fashion designers to design not only products but also customer experiences. “We live in”: To design a product just on its own is no longer sufficient. 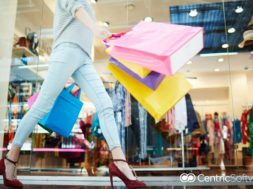 Fashion businesses need to design products in the context of the environment, in the context of how customers will use the products, and in the context of the relationship with other products. Miguel Molina, of the Technical Management Department at Grupo Susy, presented the advantages and constraints in data exchange in a footwear business. Miguel is responsible for IT at the Group, covering internal management, 3D design and CAM, and data exchange. 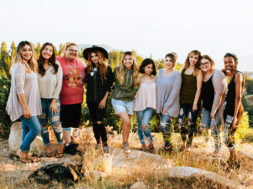 Since it’s formation, Susy Shoes has specialised in manufacturing high-quality women’s shoes with updated designs to keep up with rapidly changing demands. Miguel presented a key feature in their performance: with their main manufacturer located in Alicante, the company is able to adapt production to demand and control response times. ‘Local for local’ is something I’ve written about in the past, and something on the rise in Fashion. As well as their own brand, Susy manufactures for luxury brands such as Jimmy Choo, Burberry and Carolina Herrera. Their supply chain includes manufacturers in soles, molding, and heels. Miguel presented their evolving digitalization programme, in which the Group uses 3D systems to design and create prototypes. They also practice additive manufacturing, use 5-axis machines for molding, and specialized cutting systems. What I found fascinating was the fact that Susy is now implementing robots within their production process, as part of a longer term R&D project. For the main part of his presentation, Miguel shared the company’s thoughts and experience in data exchange, both internally and with main brand clients. Susy has found the exchange in data eliminates (or at least reduces) errors and intervention. An area very well represented at IT4Fashion was that of Digital Innovation. During the second day of the event Maximilien Abadie, Strategy Director at Lectra, presented Lectra’s thoughts on the 4th industrial revolution in Fashion. Joining the business in 2012, Maximilien holds numerous degrees, from Bocconi University, Paris-Dauphine University, and Paris-Assas University. 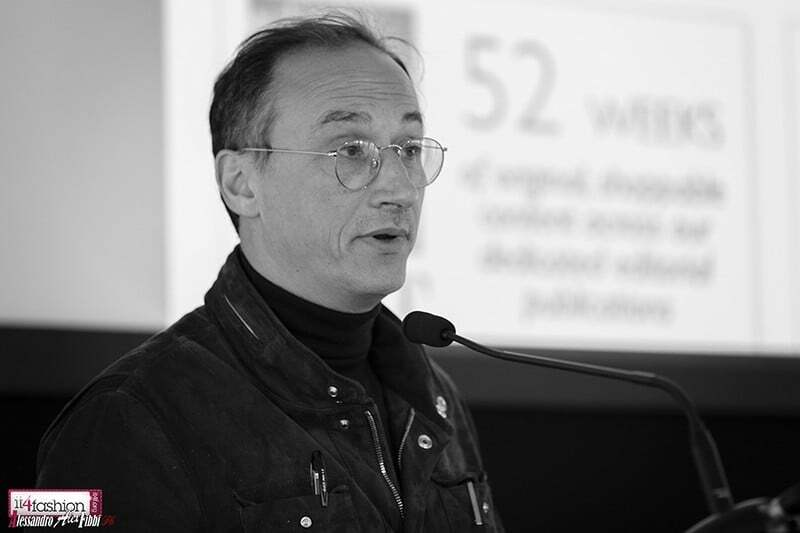 Maximilien shared his / Lectra’s views on the fast-changing conditions of society and economics – conditions, which companies must adapt to. The four emerging trends / challenges he shared were the rise of the millennial shopper, digitalization of business, the emergence of Industry 4.0, and the changing economy in China. 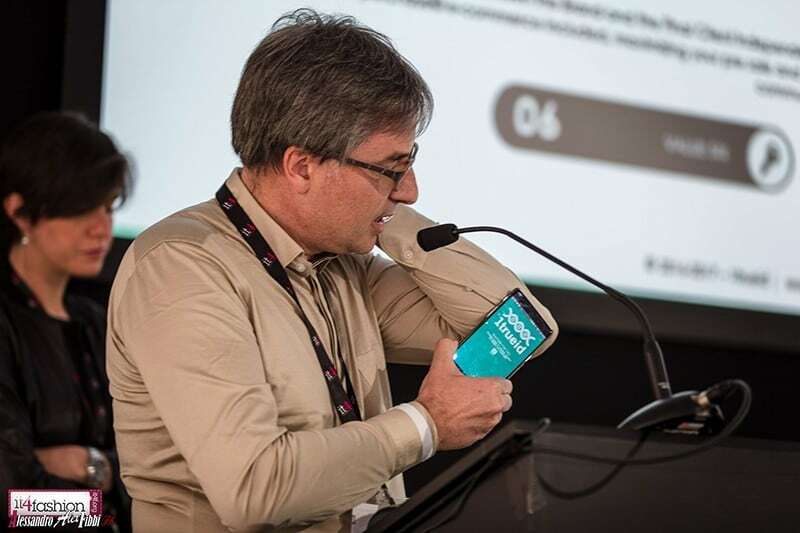 To face these challenges, argued Maximilien, a digital value chain is essential in providing real-time connections between creative and product development teams, smart factories, suppliers and consumers. 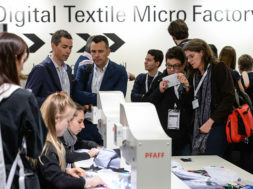 It’s clear from my own extensive experience and recent PLM evaluation that Lectra are indeed well on their way to developing strong digital foundations and are joining the many digital dots across our complex universe of solutions made up of both software and hardware platforms that help to drive our fashion supply-chain. A great business waving the flag for digital innovation (as referenced in my own presentation next in this report) is 1trueid. 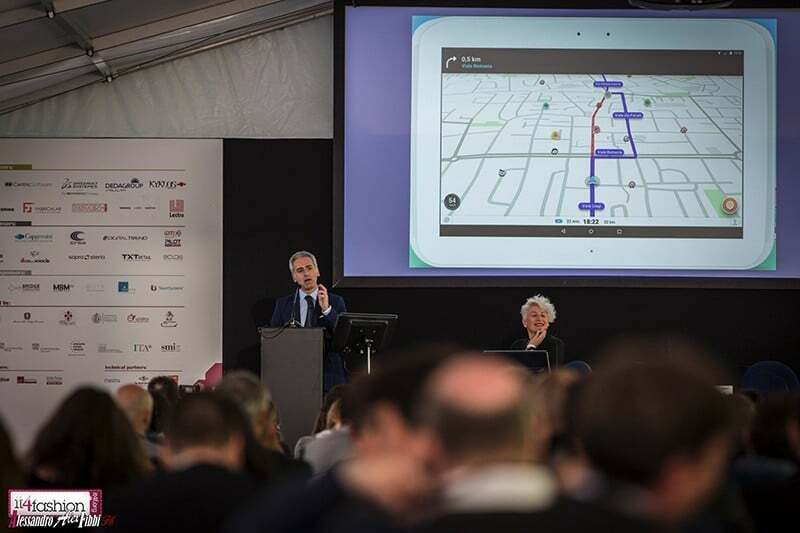 CMO, Emanuele Bertoli, presented ‘The Book of Things and beyond’, showing us the various applications of 1trueid – even inviting the audience to try them in real-time. 1trueid is one of the most cost effective IoT solutions available with regards to counterfeiting, supply chain Blockchain and one-to-one marketing. The solution works with QR codes, RAIN RFID, Bluetooth, and NFC and is user friendly, and embeddable into the existing fashion labeling infrastructures. Having been sent two shirts from 1trueid earlier in the year to support my digital innovation presentation for WhichPLM on Tour, my session, whilst wearing my connected shirt, perfectly supported Emanuele’s presentation, and vice versa. Presenting on the first day I shared my thoughts on PLM as the foundation of product innovation. 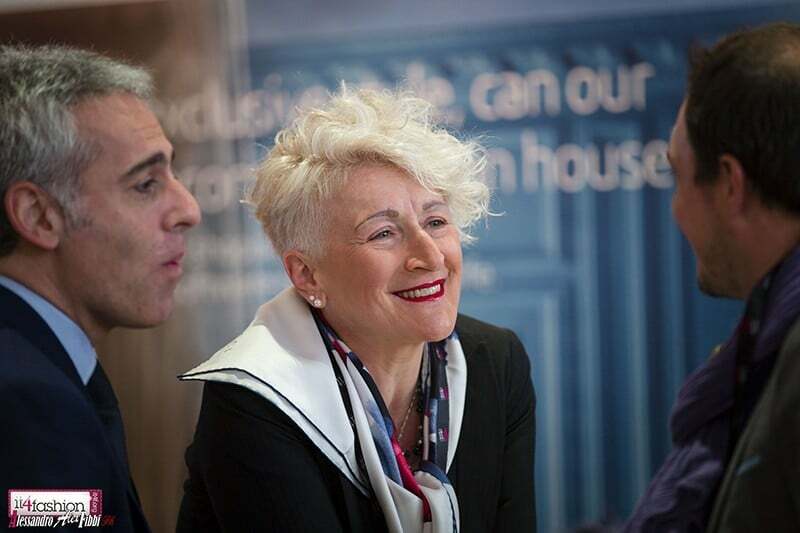 Having been in the industry for over 4 decades, in a myriad of different roles (but all the while in Fashion), my session was designed to show how far we’ve come to live the fast-paced lives we do now. I presented the current Fashion technology landscape, covering the use of virtual assistants, real-time trend, dynamic planning and virtual design, 2D-3D design and development, synthetic (virtual) costing, analytics helping to drive next generation digital printing, spreading and cutting, advancements in RFID and robotics, supply chain logistics, virtual and augmented reality – all transforming to improve the connected retail experience. Also advocating for the connecting of businesses and experiences was Mr Scalia. 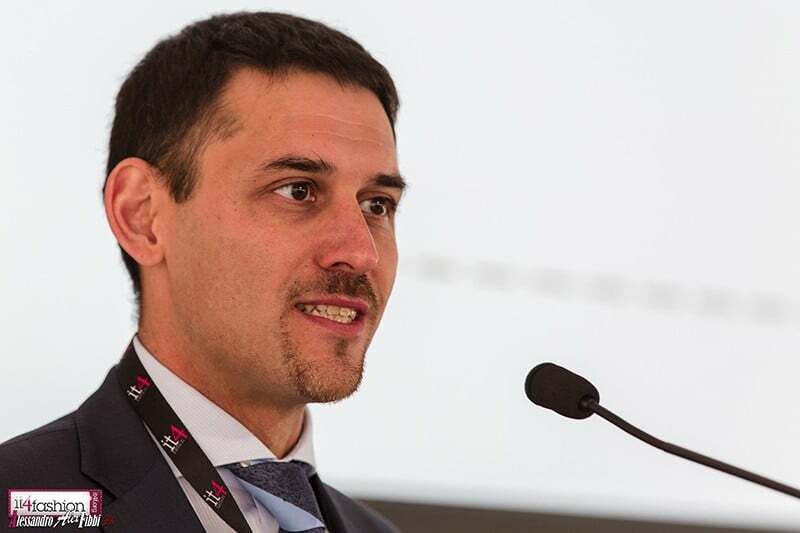 Speaking on the digitalization of the fashion supply chain at the close of day one was Mauro Scalia, Manager of Sustainable Businesses at Euratex. In his role he coordinates with members of many European associations, and speaks a total of 4 European languages …which is three more than I do. Mauro spoke of eBIZ – a European initiative founded in 2008 supporting fashion companies (especially SMEs) in digitally connecting their business networks. 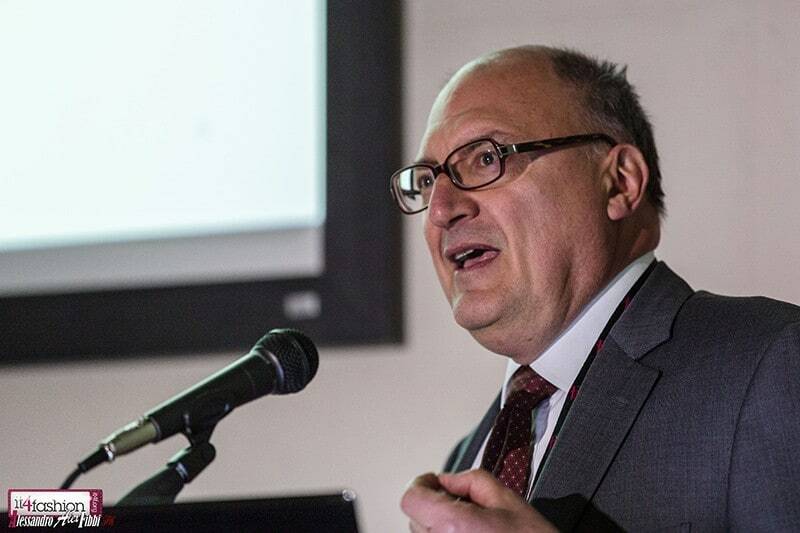 This year, Mauro explained, marks the third phase with eBIZ 4.0 – the new project. 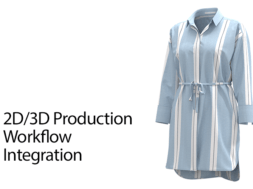 The project significantly improves process management and connections with suppliers and customers by using RFID and other communication technologies with eBIZ: the European standard for digital data exchange across the fashion value chain. 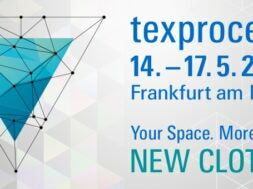 The solutions developed within the project will be applied by more than 100 different companies in the apparel, footwear and textiles markets, with the aim of improving product traceability, time to market, warehouse management and digital data exchange throughout the entire supply chain. Having been researching data and, more importantly, what companies can do with the data they collect for our upcoming publication, Mauro certainly captured my attention. As a stakeholder of eBIZ, Euratex is just one of many businesses whose competences are pooled together for the project, with leading technological businesses specialising in the fashion value chain. Another collaborative pitch was that from Marco Pozzi, Senior Advisor of Digital Strategy & Organization at co-branded Contactlab. Marco shared with his audience his “Digital Competitive Map” – a proprietary framework and methodology for measuring and monitoring how fashion and luxury brands are embracing the new digital agenda. In short, the methodology maps 150 digital parameters every year for a panel of 32 brands – all of whom could be considered leaders in the luxury market. 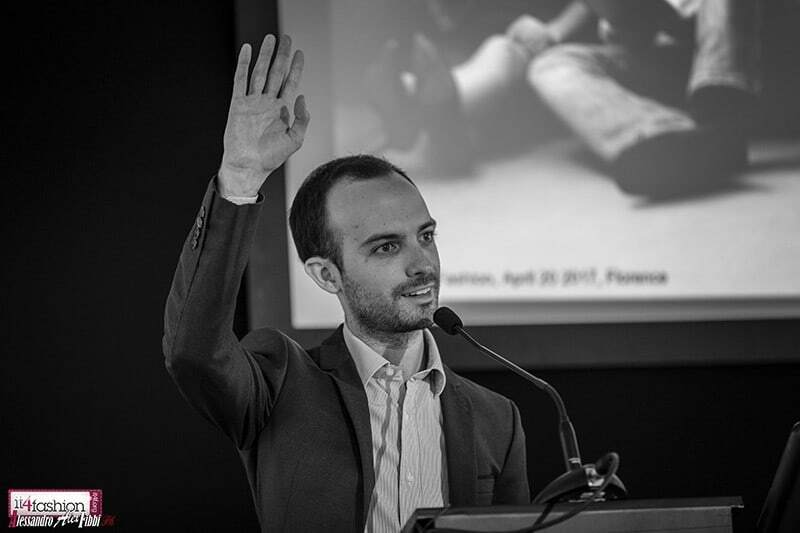 Having begun in 2014, so far there have been four editions published – the results of which Marco elaborated on. Contactlab has found relatively dispersed results, but is constantly improving on the Map. 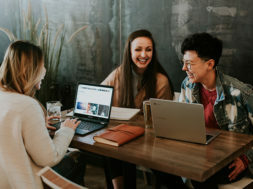 These include significant effort on geographical localization, cross-channel and personalized services, and prospect/customer segmentation in direct marketing. A well-executed digital strategy, stated Marco, enables greater sales and profitability. Marco also shared the value of the project from various business perspectives: highlighting digital strengths and weaknesses, and identification of digital priorities from a top level management perspective; support for investment priorities and ROI, and an objective analysis for understanding how a brand id performing digitally from a shareholder’s perspective; evangelization of the luxury sector to fully exploit the digital potential of online and offline purchasing channels from the point of view of customers – current and prospective. 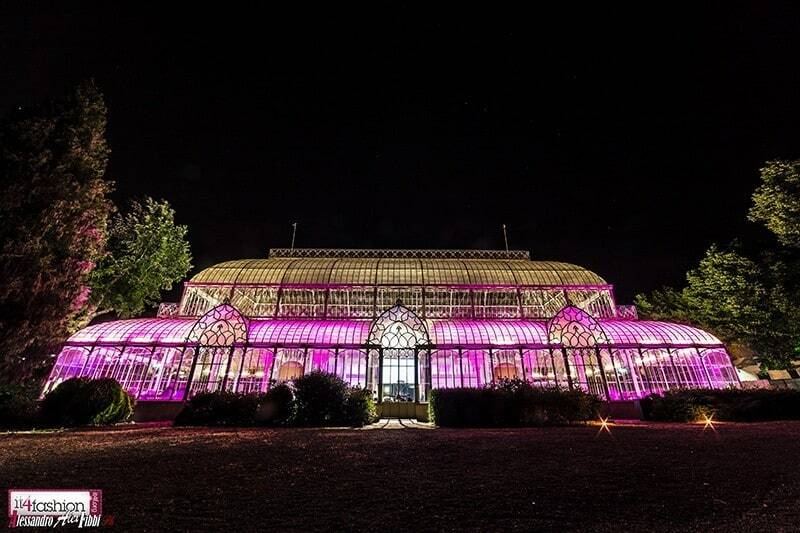 On the first evening, the 800+ people present at IT4Fashion were invited to attend a glittering soirée within the Garden dell’ArteCultura – an extravagant, gigantic glass building – with added atmosphere coming from the live music supplied by a wonderful band. Topping things off was the magnificent Italian food – perfect for my tastes! On the second day, I had the opportunity to visit many of the exhibitor stands to chat to the experts and learn more about each of their technology offerings, and latest developments, and at the same time to discuss the current industry challenges and to share my own views and sector use cases along the way. I certainly learned a lot and at the same time I hope these conversations and exchanges will add additional thoughts to all those concerned and will result in further ideas and developments being generated. 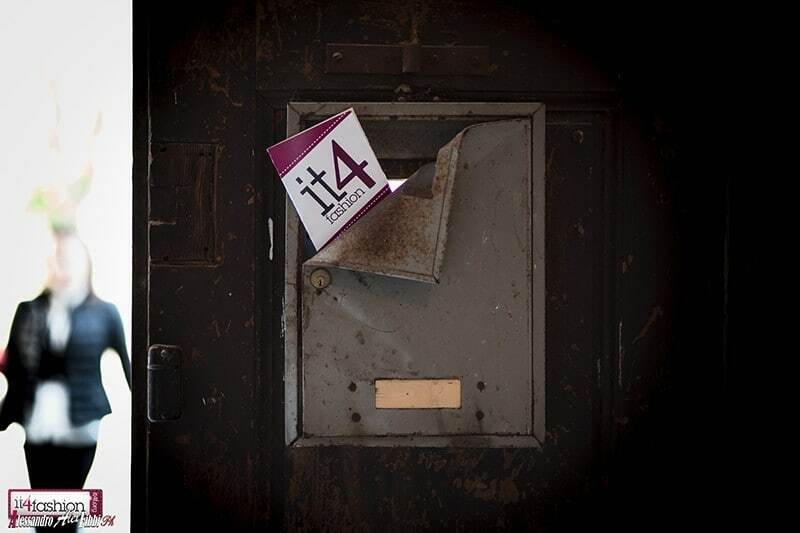 I must say that I thoroughly enjoyed the IT4Fashion format which I found to be diverse with a range of digital solutions, playing perfectly into the way that I view our digital universe of many different systems that can, and should, be connected along the value chain. 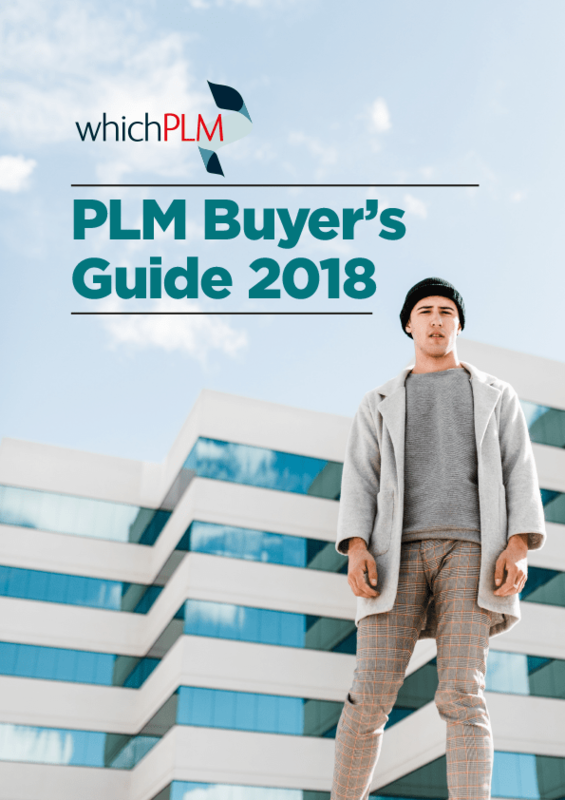 Along with solution providers, I also had the opportunity to speak with several consulting practices that shared their experiences when it comes to implementing PLM and related E-PLM (Extended-PLM) solutions. I spoke with some very talented individuals with real hands-on experiences between them. 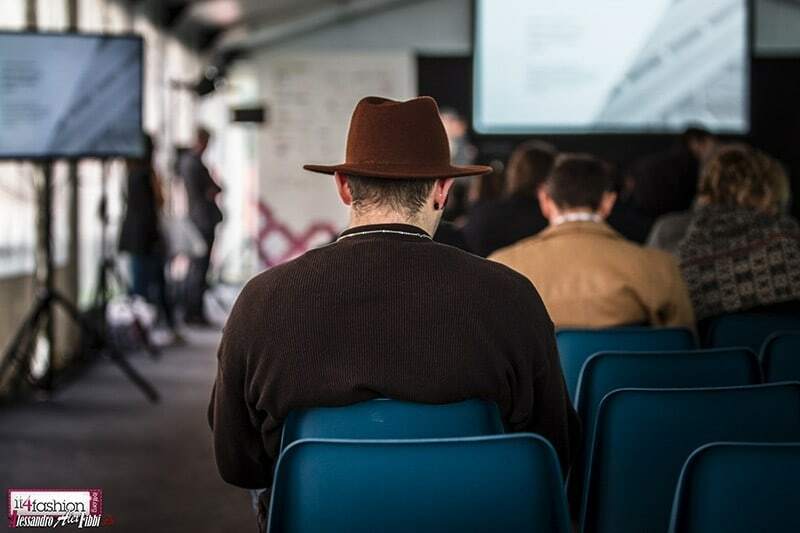 One of the key topics exhibited during IT4Fashion was that of secure digital identity. Now if this is new to you I’ll elaborate: secure digital identity encompasses many things including products visibility, product transparency, anti-counterfeit software, focused qualitive marketing, improved customer engagement and experience. 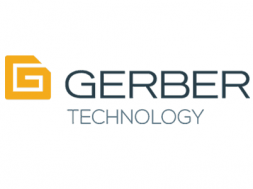 Several of the companies present at the event were delivering many advanced connected solutions, most of which were using a broad range of connected devices: NFC Chips, QR/Optical codes, soft RFID sewn in labels and Bluetooth (BTLE) enabled readers. The main objective of these solutions is to help connect the products with the extended supply-chain partners including Tier 1 & 2’s suppliers e.g. factories and their suppliers of raw materials. The connected materials and products can then be tracked and followed across the extended supply-chain through product manufacturing, logistics, warehousing, distribution and onto anti-counterfeit auditing (across all key milestones found within the supply-chain) extending through to marketing and the selling process followed by direct “one to one” customer marketing and continued customer experience via viral and social media. I’d like to thank everyone that I met during the IT4Fashion event for their kind welcome and their wonderful hospitality. next Industrial Digital Ecosystems - the Fourth Industrial Revolution?